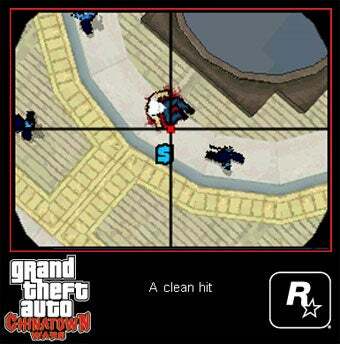 Sony Say Grand Theft Auto On DS "Raises Some Eyebrows"
When Nintendo first announced GTA: Chinatown Wars, the first GTA game on a Nintendo system since 2004, eyebrows were raised. Seemed an odd choice. And for Sony, eyebrows are still being raised. Speaking with MTV, Sony's John Koller - who's just everywhere these days - says that with the DS fan base being (as he sees it) made up mostly of kids under the age of 12, it's a strange fit for the system. "It's an interesting launch on DS," he said. "It raises some eyebrows in a lot of areas. It'll be interesting to see how that sells." It will! Especially when you consider that there are millions upon untold millions of DS owners over the age of 12!